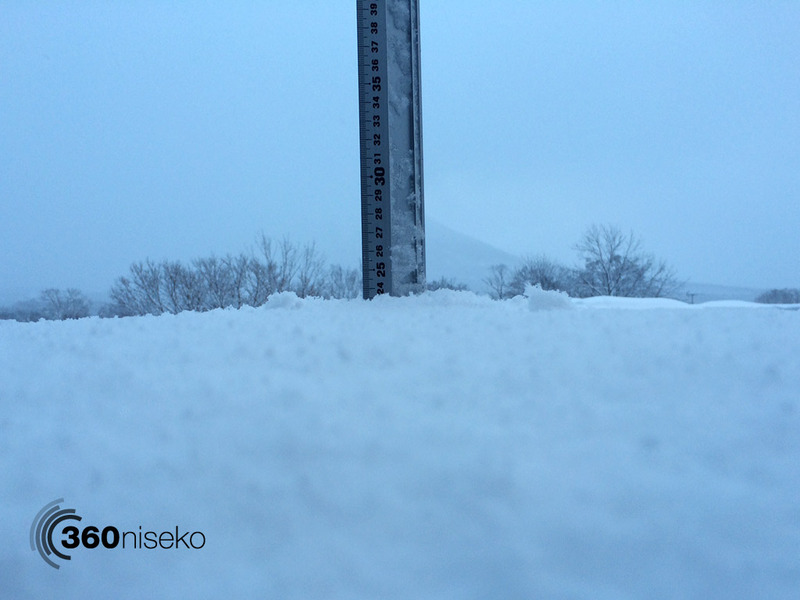 *23.5cm of fresh snow has fallen in the last 24hrs in Hirafu Village. At 7:00 today the temperature was -7°C. Light snowfall this morning and it looks like the wind has finally calmed down. Chances are good that the higher lifts will open today which means fresh tracks will be up for grabs all over the region. Looking back on January’s accumulative snowfall we received 5+ meter’s!! More than 11cm of snow fell during the day yesterday which pushed the monthly total over the 500cm mark. Wondering what 931cm of snowfall looks like? Check this video out shot at 1 image every 3 hours since the 1oth October. The video looks over the Terrazze Niseko site in Hirafu village.